My head is still spinning from our AMAZING event last Friday night at the Perot Museum (or maybe it’s from all the dancing at the after party)! The Women of Tocqueville 10th Anniversary Celebration was a magical evening honoring and recognizing our Women of Tocqueville founding members, past chairs, steering committees and current members for their role in creating this dynamic and impactful organization. Our members are accomplished and passionate women who inspire positive change in our community and beyond. We volunteer our time to promote literacy through reading to children. We encourage higher education and overall health through mentoring young women. We travel to Austin and Washington, D.C. to advocate on behalf of those who have no voice. We give generously to United Way supporting programs that lift our citizens up – benefitting our entire city. We truly are the mighty, mighty Women of Tocqueville! What a privilege it was to recognize Lyda Hill, one of our founding members, with the 2018 J. Erik Jonsson award, United Way’s highest volunteer distinction. May we all serve our community in such dedicated and innovative ways. Thank you, Lyda! Last, but certainly not least, the much-anticipated announcement of the Women of Tocqueville Fund for Women and Children is now in its public phase! 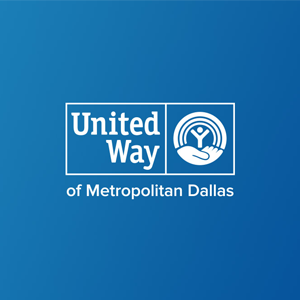 This fund will serve as the pillar for us in the future as we continue to focus on our mission – creating an inclusive network of women leaders aligned to give, advocate and volunteer in support of the community through the United Way of Metropolitan Dallas. Now that the celebration is complete, let’s use the momentum from the event and focus on all that remains to be achieved. To learn more about supporting this critical fund, please click here to email me. Thank you for your generous support through United Way of Metropolitan Dallas and specifically Women of Tocqueville. It is because of you that our collective power is changing lives FOREVER in North Texas.